A platform to connect new Australians with career coaches, built for Techfugees Sydney 2016. 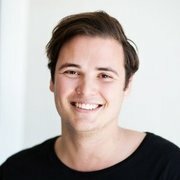 Covered is a platform designed to connect newly arrived Australians to career mentors. Job seeking individuals can sign up, fill out some information and have a resume generated at the click of a button. They will be put in touch with an industry professional who will reach out and provide feedback on their resume. The seeker then has the opportunity to set up a 'mock interview' and discuss other aspects of the job application process with their mentor. This project was developed over the weekend of 5-6 November 2016, as part of Techfugees. The prototype was tested with refugees & newly arrived Australians and was identified as a tool which would be useful in the job search process. I was the team developer, so I built out the app. Trying to build a full Rails app in 24 hours was a bit of a challenge, so it was a great opportunity for me to work on processes for prioritising different aspects of the application. I worked on UX and UI design and wow - I learnt a lot. Working under pressure and delivering more or less an end-to-end design process within 48 hours was a challenge but super rewarding. The soft skills I gained from working with new people and diverse perspectives were also invaluable. I help ideate the platform with my teams mates, as well as put together the pitch deck, which included; researching and communicating the problem, market research of the current environment and competition, verbalising how the product will work and helping determine the key next steps we need.